Lunasa, or Lughnasa, is the Irish language word for 'August'. It's also the name of the third season of the Celtic year, which starts with the festival of Lugh. Lugh, the Celtic sun god and sky father, is the god of the harvest. His ritual marriage to Danú, the earth mother, whose name means 'water', symbolises the vital balance of heat, light and moisture required to nourish the crops and livestock on with we depend for survival. 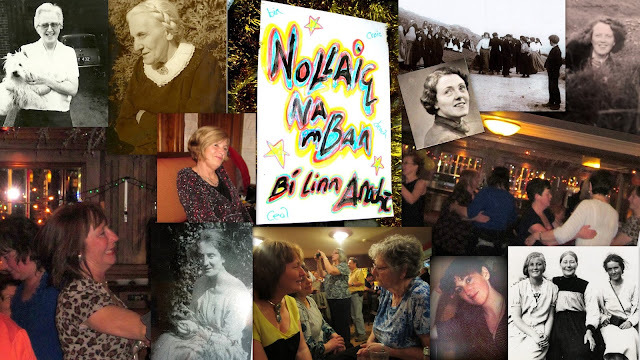 Last year when I wrote about the festival of Lughnasa I was in Ireland, on the Dingle Peninsula. The peninsula's Irish language name, Corca Dhuibhne, means The Territory of the People of The Goddess Danú, and Lugh's festival's still celebrated there each year with bonfires and dawn gatherings on Mount Brandon. This year I'm writing in London at the start of the Olympic Games. You might think that the two places couldn't be more different. But, as always, the similarities are as striking as the contrasts. The other night, watching the opening ceremony of the Olympics, I was fascinated by the fusion of the elements of ancient folk ritual with the magic of twenty-first century multimedia technology. There was fire and water. Light repeatedly conquered darkness. There was dance, music, celebration of identity, and ritual re-enactment of past, communal experience. As darkness fell, the god - or at least the Queen's stunt double - descended from the sky to bless the gathering. And finally, in a frenzy of firelight and drumbeats, there was a demonstration of faith in the future, symbolised by the handing on of the sacred flame from one generation to another. None of that's surprising. And it's not just because of the Olympic Games' origin in an ancient Greek festival honouring the sky god Zeus. It's because the universal human instinct for communal, ritual expression is rooted in a primal need for a shared sense of identity. It's always been with us and it seems like it always will be. We need teams, tribes, neighbourhoods, nations. We know who we are when we know where we come from. And our sense of ourselves as individuals seems to be supported by a sense of community, continuity and context. It allows us to view ourselves as elements in a larger picture. Distance gives perspective. Perspective gives a sense of balance. And balance promotes health. Yesterday I had a text from a friend in the village of Cloghane, the starting point of an annual walk up Mount Brandon, where Lugh's festival's been celebrated for milennia. This year I'll miss the music in the pubs, the food and drink and laughter, the traditional gatherings and rituals that express joy in the harvest and hope for the future. ... which suggests that at this exact time of year, thousands of years ago, other ceremonies may have taken place on that riverbank. So maybe David Beckham's neon speedboat wasn't the first craft to bear a flame to London 2012's Olympic site. Lovely reflection. Your heart is a good one, God bless you, Felicity Hayes McCoy. Your writing is generous in spirit and vivid in its descriptions and allusions. Happy Lúghnasa. PS: Didn't Brian Friel do a great job with his play 'Dancing at Lúghnasa'? Didn't he? And thank you for your kind comment ... really appreciated. I am reading your book at the moment and I am lost in it - I cannot praise it highly enough. I grew up in London but know and love Corca Dhuibhne, I have spent several holidays in Ireland (my mother was from Cromane). Thanks again for your book, it is indeed one to cherish. Hi Cait, I'm so pleased you're enjoying the book - and very touched that you took the time to say so here. Many thanks, Felicity.